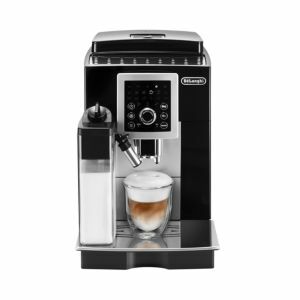 DeLonghi - DeLonghi Replacement Filter Kit for 8 Series Fryer DeLonghi products bring warmth and function to your kitchen. 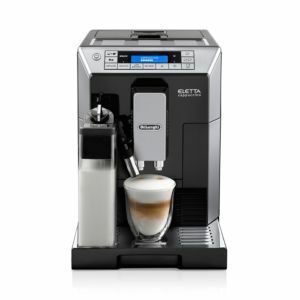 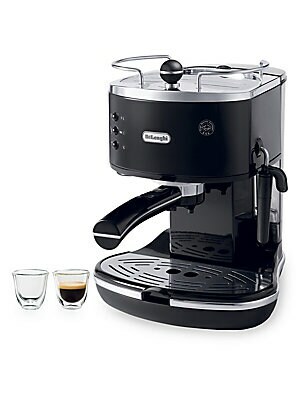 DeLonghi - DeLonghi 15-Bar Pump Espresso and Cappuccino Maker DeLonghi products bring warmth and function to your kitchen. 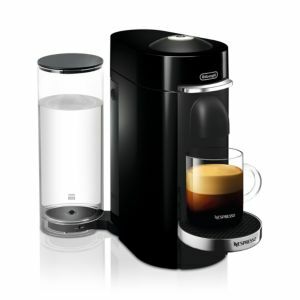 DeLonghi - DeLonghi Icona 57.5 oz Electric Kettle DeLonghi products bring warmth and function to your kitchen. 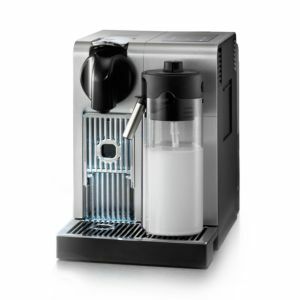 DeLonghi - Dc514t 14-Cup Drip Coffee Maker Stainless Steel Black Silver DLODC514T pg.422. 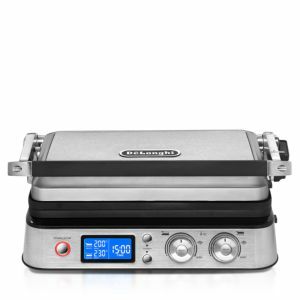 DeLonghi - DeLonghi Reversible Die-Cast Grill and Griddle DeLonghi products bring warmth and function to your kitchen. 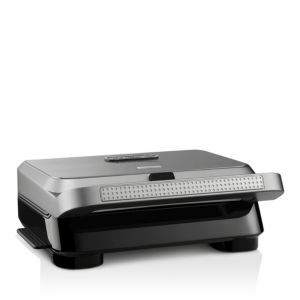 DeLonghi - DeLonghi Icona 2-slice Toaster This DeLonghi toaster a stylish retro look and is available in a number of finishes to match any kitchen decor. 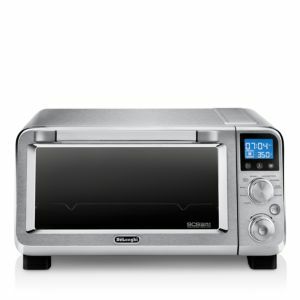 This toaster has a removable crumb tray for easy cleaning and progressive electronic controls for custom toasting.
. - DeLonghi Icona 2-slice Toaster DeLonghi products bring warmth and function to your kitchen. 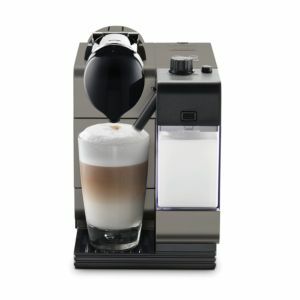 DeLonghi - De'Longhi Livenza All-Day Grill From waffles in the morning to grilled sandwiches at lunch to steak for dinner you'll turn to the Livenza grill from De'Longhi all day long. 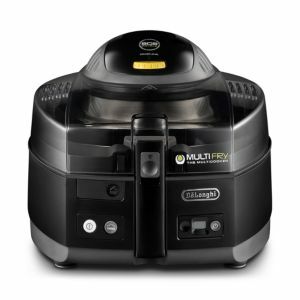 A system of interchangeable plates gives this compact multi-tasker amazing versatility. 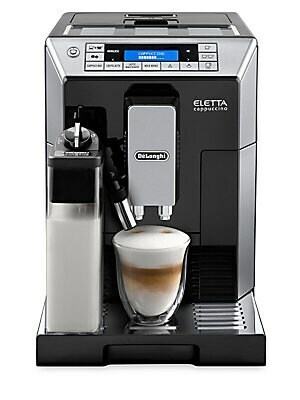 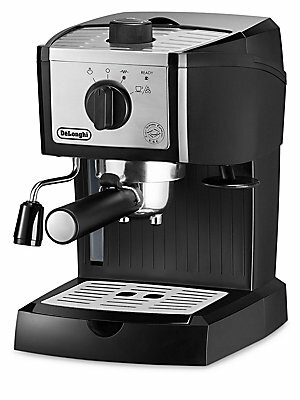 DeLonghi - Bco320t Combination Coffee Espresso Machine Black Silver DLOBCO320T pg.421. 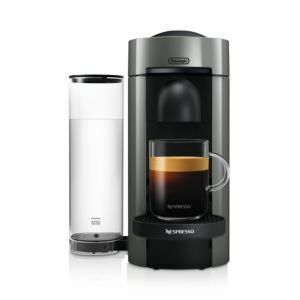 DeLonghi - DeLonghi Dolce Gusto Circolo Flow Stop Coffee Mach DeLonghi products bring warmth and function to your kitchen. 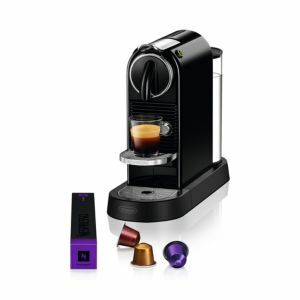 Nespresso - Essenza Mini Espresso Machine by De'Longhi Compact without compromising on taste this coffeemaker offers two programmable cup sizes (espresso and coffee) to give you the perfect pour in just a few minutes. 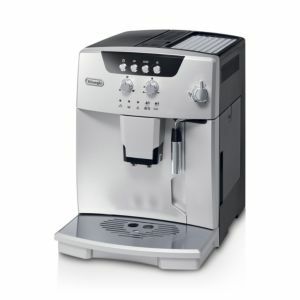 DeLonghi - De'Longhi Livenza Stainless Steel Digital Convecti Roast broil or bake without heating up the kitchen with the Livenza convection oven from De'Longhi. 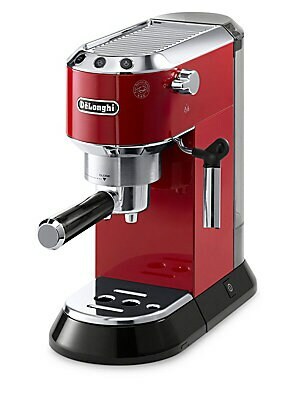 Powerful cooking performance in a compact countertop size it includes nine pre-sets for simplicity and precision. 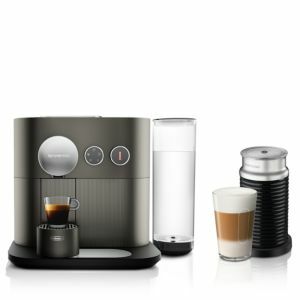 Nespresso - VertuoPlus Coffee & Espresso Maker by De'Longhi Easily brew barista-quality coffee at home with Nespresso's compact lightweight ergonomically designed machine. 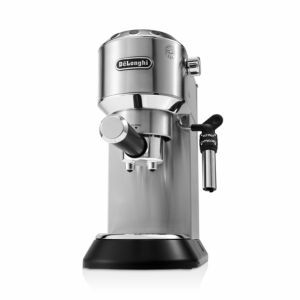 DeLonghi - De'Longhi Dedica Stainless Steel 6 Mini Pump Espre De'Longhi packs the exceptional performance of a traditional espresso maker into a sleek ultra-compact design. 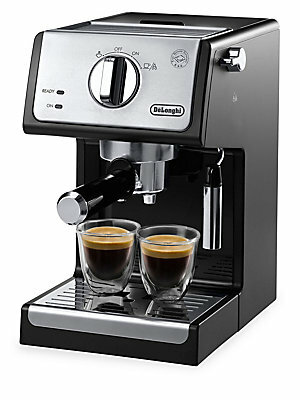 DeLonghi - DeLonghi Silver Lattissima Plus Nespresso Capsule DeLonghi products bring warmth and function to your kitchen. 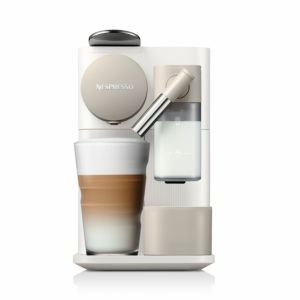 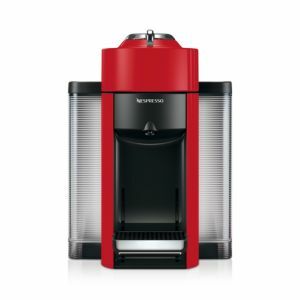 Nespresso - Vertuo Coffee & Espresso Maker by De'Longhi Designed with a lightweight compact footprint and ergonomic handle Nespresso's Vertuo Single makes creating barista-quality espresso drinks at home simple and seamless. 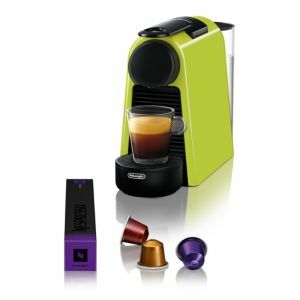 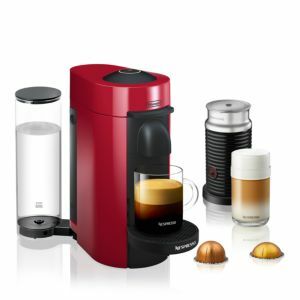 Nespresso - Vertuo Coffee & Espresso Maker by De'Longhi with A s compact expertly designed espresso maker and milk frother bundle makes a perfect addition to any coffee-lover's kitchen. 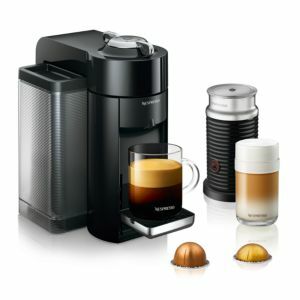 Nespresso - Lattissima Pro Espresso Machine by De'Longhi Ingeniously designed for ease of use and sleek streamlined style the De'Longhi Lattissima Pro lets you create perfect custom espresso drinks every time. 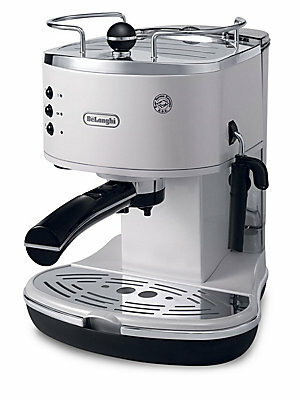 DeLonghi - Super Automatic Espresso And Cappuccino Maker Stainless Steel ECAM22110SB DLOECAM22110SB pg.421. 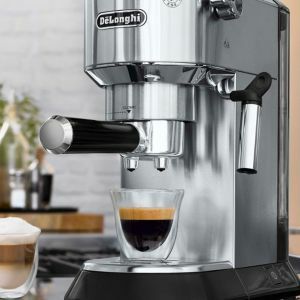 DeLonghi - De'Longhi Magnifica Cappuccino Smart Machine De'Longhi America's smartly designed cappuccino maker brews delicious coffee and espresso drinks with just the push of a button. 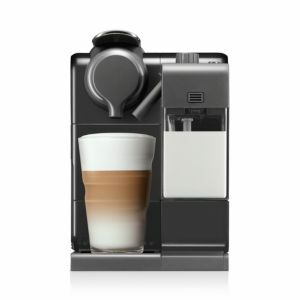 Create perfectly layered beverages with rich decadent foam.